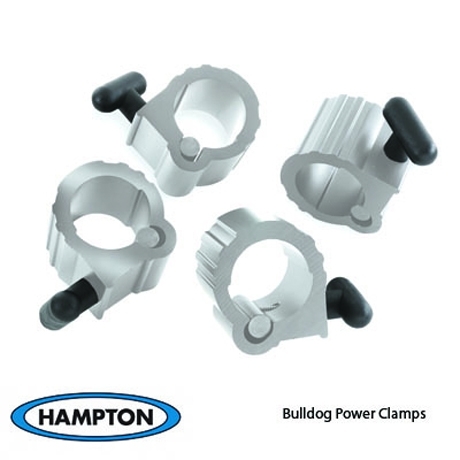 The Bull Dog Clamp is made from lightweight aluminum extrusion, offering unmatched strength and durability. No more pinched fingers or broken parts! The impact resistant T-handle securely engages an aluminum bar-cam, for maximum clamping force. Anodized in neutral black, this is a piece that will complement the looks and quality of your equipment.